Pardon my french but adbtc is crap, really it is and not only crap but a serious waste of time as there is no real value to be gained from your time using this site to view ads so you can earn BITCOINS. The payout is paltry and unrewarding and really stretches you thin trying to build up any sensible amount of satoshis that will be worth telling your neighbour about. Sometimes you login stick around for an hour or so and end up earning less that 100 satoshi for your time spent. If your time is not worth the USA federal minimum wage per hour trying to earn money online why the hell should one bother? The one who is seeing all with negativity, should not invest his time in the online world. 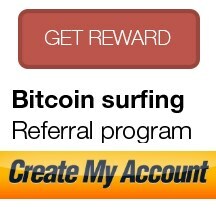 I have earned with adBTC 0.01 BTC until now without any investment. This is the proof the website is legit, serious and paying us.